The Law Office of Mark Keller is a criminal defense firm in Albuquerque, NM. We provide legal assistance when you need help the most. Our aggressive approach is coupled with over 80 years of combined legal experience and know-how that enables us to zealously defend you. We will not hesitate to look at every available defense you may have. At the Law Office of Mark Keller, we will help you minimize the damage a criminal accusation can cause your life. Our experienced legal team will help you through this difficult time in your life and advocate for your rights. By being more prepared than the prosecutor, we will obtain the best possible outcome for your unique circumstances. The key to winning criminal cases is preparation; being more prepared than the prosecutor. This is how we win cases- we are more prepared and outgun the prosecutor. With over 80 years of combined legal experience, we know criminal defense. We will fight tooth and nail to give you the best possible defense. We know the system, we know the judges, and we know the prosecutors. With that knowledge, we fight to protect your rights and go to bat for you. We will aggressively pursue all avenues in your defense. We keep you informed every step of the way. Mark Keller is a criminal defense attorney in Albuquerque, New Mexico. He has been practicing law since 1989. He has two associates who have practiced law just as long. There are two paralegals with the firm as well as one legal assistant. We all work together for you, the client. The firm handles all criminal cases – misdemeanor as well as felony cases. The majority of the cases in the firm are DWIs dealing with alcohol and/or drugs. The firm also handles everything from traffic tickets to murder cases. We also handle probation violations in both Metropolitan and District Court. We go out of county for criminal cases on a regular basis. The two associates are Mr. Tom DeMartino and Mrs. Terri Keller. Mr. DeMartino has been practicing law for over 27 and a half years. At one point in his career, he was supervisor of the Metro. Appellate Division at the Public Defender Dept. in Albuquerque. He has done both misdemeanor and felony jury trials. Mrs. Terri Keller was a prosecutor with the DA’s office in Albuquerque for over 24 years. She retired from the DA’s office and is now doing criminal defense. At the DA’s office she was in the Domestic Violence Division, Violent Crimes Division, and Property Crimes. This firm knows criminal defense and understands what it takes to assert an aggressive defense, and be a zealous advocate for our clients. We are on your side and will fight to protect your rights. Call now for a free consultation! 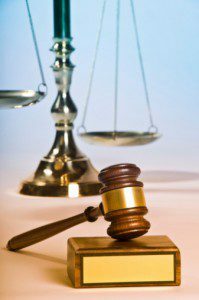 Contact one of our experienced Albuquerque criminal defense lawyers today for a free initial consultation. We are happy to talk with you about how we can help you in any criminal matter you may be facing. Call the Law Office of Mark Keller today at (505) 842-1440 to discuss your case with one of our experienced New Mexico attorneys.